Jacob Muck, son of Henry Muck a farmer, was born in Pennsylvania in August 1813. He was married twice, first to an unknown women with whom he had one child. She died about 1832. In 1833 he married Christianna Smith who was born in Pennsylvania in 1808. The family removed to Montgomery County, Randolph Township, Ohio sometime after 1840. Jacob is part of the 1850 Ohio census enumeration and is listed as a butcher. Biographical information regarding Jacob Muck can be found in the 1880 edition of W.H.Beers & Company, “History of Miami County, Ohio” on page 783. According to his biography, Jacob settled in Darke County, Franklin Township in the Painter’s Creek area after leaving Montgomery County. He stayed in Darke County for five years at which time he removed to Miami County, Newton Township where he remained until his death. Jacob Muck was raised in a farming family and farmed his entire life. The Muck property consisted of 78 1/2 acres and was located in section 31 in the south central portion of Newton Township in Miami County. 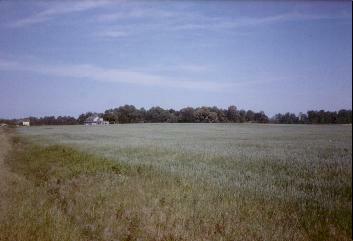 This land was in school district #2 in the 1880’s. Jacob was well known in the county for his thrashing machine which he owned for over fifteen years. The Beers account lists Jacob Muck as a member of the Republican Party and Christianna part of the congregation of the Shiloh Christian Church. Jacob Muck died in 1891 and his will was probated in Miami County, Ohio in 1893. Christianna Smith Muck died in 1897. They are buried in Pleasant Hill Cemetery, Newton Township, Miami County, Ohio. CATHERINE MUCK born December 1833 in Pennsylvania died November 23, 1906 in Darke County, Yorkshire, Ohio married LEWIS HESS. Rebecca Muck born 1834 in Pennsylvania married William Liar on March 23, 1856 in Darke County, Ohio. Barbary Muck born 1835 in Pennsylvania. Henry Franklin Muck born 1842 in Ohio died about 1870 in Miami County, Ohio married Sarah Coppock, 1866 in Miami County, Ohio. Sarah Muck born 1844 in Ohio married John Wesley Penny, 1865 in Miami County, Ohio. Samuel Muck born 1846 in Ohio. Amanda Muck born 1848 in Ohio married Nathan Thompson, 1865 in Miami County, Ohio. Lydia J. Muck born 1850 in Ohio married Allen Coppock April 3, 1873 in Miami County, Ohio. They had one child, Myrtle C. Coppock born February 12, 1880, Bradford, Darke County, Ohio died September 4, 1957 in Dayton, Ohio married Franklin Webster Wise. Special thanks to Betty Smith Bowman for sharing all of her Muck research. /starglo2.gif"> Special thanks to Betty Smith Bowman for sharing all of her Muck research.